Missives from the Jet Set. They might be ladies who lunch, but they were all business when it came to helping women transition back into the workforce at the annual Dress for Success luncheon, held at the InterContinental Boston. Lunch was delicious and the speaking program blessedly brief. Even the live auction, which raised beaucoup dinero, was over before the coffee was cold, and everyone was out of there precisely on time—a welcome rarity on the charity circuit. 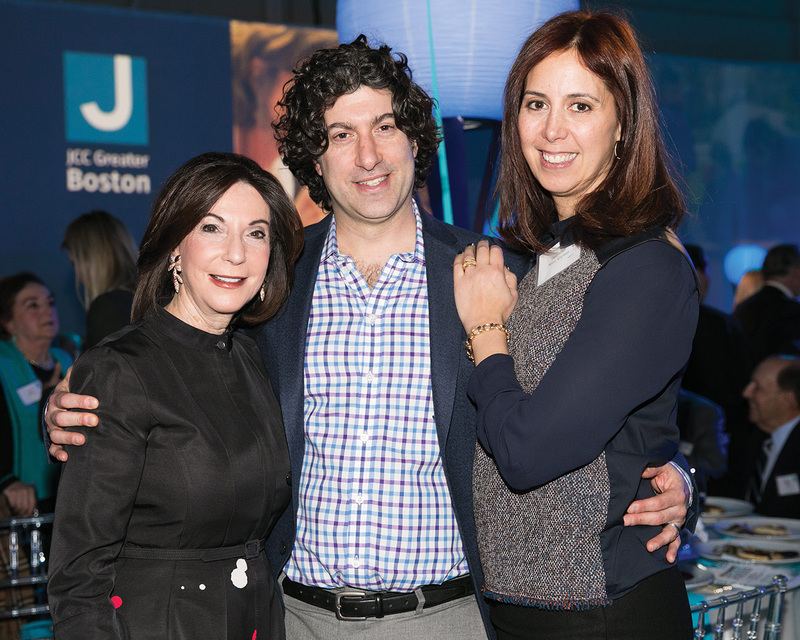 The most aptly named party on Boston’s social calendar is Big Night—the annual fundraiser that never fails to raise the roof—at the House of Blues. A benefit for Big Brothers Big Sisters of Massachusetts Bay, the evening features free-flowing booze and delicious comfort food (lobster mac ’n’ cheese and short rib sliders, anyone? ), but the highlight is undeniably the chart-topping musical acts, this year the Black Crowes and Fitz and the Tantrums. Both bands were worth the price of admission, and even normally subdued fund managers and VC titans let down their hair and loosened the purse strings. In fact, the evening’s only downside was the overzealous busboys who whisked away cocktails immediately after they were put down on a table, necessitating endless trips to the bar (that’s my story, and I’m sticking to it). Where’s Lena Dunham When You Need Her? It was an intimidatingly hip guest list when design gurus Cheryl and Jeffrey Katz hosted a party for marketing maven and art photographer Mike Toth (aka the man who invented J.Crew) at their South Boston studio, to celebrate Toth’s new book and exhibit US. American Stories. A fundraiser for Mass. Eye and Ear, the afternoon attracted the likes of uber-chef Ana Sortun (who did the catering) and her colleague John daSilva, his unfailingly hospitable wife, Molly Loveday, Somervillians Geoff and Patricia Hargadon, radio eminence Margery Eagan, Cambridge chatelaine Jan Saragoni, publishing bigwig Mitch Fox, Sperry Top-Sider VP Bradley O’Brien, brunette beauty Serena Saitas, smoking-hot mixologist Vikram Hegde, Sports Illustrated scribe E.M. Swift, Marc Jacobs design director Aude Tabet, filmmaker DeMane Davis, shelter-mag stud-muffin Kyle Hoepner and others of an equally artsy ilk.